vitamin D3 dietary supplement is water-soluble thus ensuring that excellent absorption and high bioavailability. 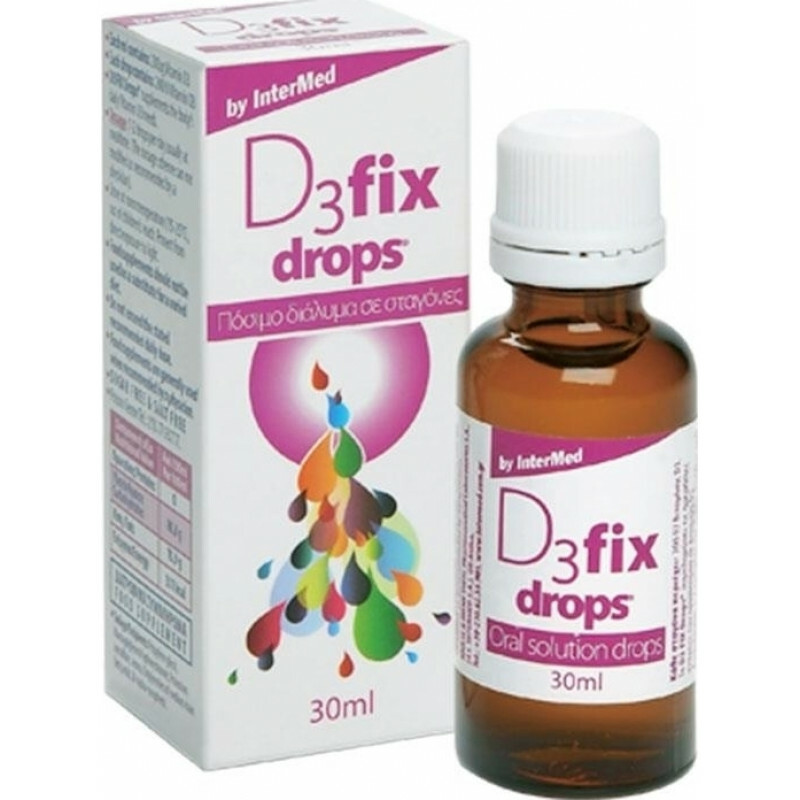 D3 Fix Drops is a vitamin D3 food supplement (cholecalciferol) as an oral solution in drops, to cover increased requirements of vitamin D3 or in the event of deficiency. In D3 Fix Drops Vitamin D3 is in a hydrosoluble form thus ensuring excellent absorption and high bioavailability. Packaging with dropper vial of 30ml (200IU D3 / drop).